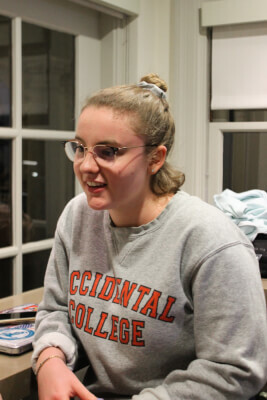 Women Inspiring iNner Kindness (WINK) is a new club in the midst of establishing itself on campus, with the goal of creating a supportive community for women-identifying individuals according to e-board treasurer Isabella Auffenorde (junior). 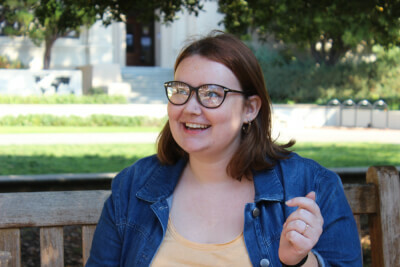 “The mission of WINK is to destigmatize mental health and to give women extra support in a place where they can feel like they can talk about the struggles they’ve had together,” Kaufman Butler said (sophomore), committee chair of the WINK e-board. President of WINK Kristina Baldwin (junior) came up with the idea over the summer when she was interning for an organization called Breakthrough Collaborative. WINK differs from a similar group on campus, Women and Youth Supporting Each other (WYSE), because WYSE serves as a program that mentors local middle school girls and encourages female leadership and activism in the community, according to WYSE member Lauren Uy (first year). WINK recently collaborated with Occidental’s Hillel chapter for a Self-Care Shabbat event, as well as with Active Minds for a crafts and de-stressing event. These events aimed to both foster conversations around mental health and offer opportunities for women to support and take care of one another. 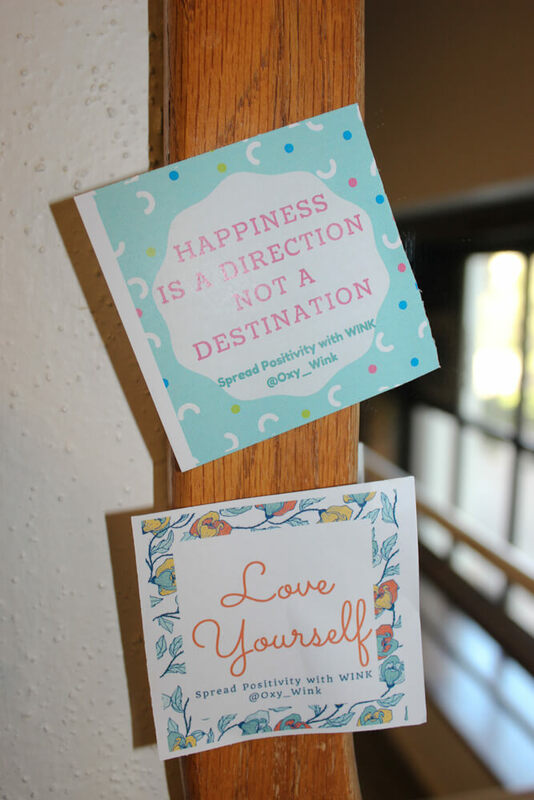 The art and positive messages WINK taped to the bathroom mirrors across campus were a meaningful contribution to campus culture the group is proud of, Butler said. Along with these small acts of kindness, WINK has been working to fundraise and establish membership at their meetings, according to Butler. Aside from the people who consistently show up at meetings, the e-board has been extending club involvement on social media. For example, they facilitate a good morning group chat for their members with uplifting messages so students who cannot attend the meetings can still contribute to the club. “We’ve been doing a lot of things on social media because I think, at Oxy, it’s hard for people to always be able to show up in person, but people are much more able to show up online,” Baldwin said. Butler said the group’s goal for next semester is to try to increase membership, as well as continue to spread the word about what WINK is as a club. Ideally, they want to co-sponsor more events with other organizations. According to Auffenorde, the group wants to establish a greater presence on campus by hosting more events as a form of community outreach. According to Baldwin, WINK is all about creating a non-judgmental and supportive community. Next year, the leadership will change as the vice president and president are going abroad and Auffenorde and Butler will be co-presidents. For those interested in either joining the organization or pursuing leadership opportunities with them, WINK meets on Thursdays at 7 p.m. in Johnson 303.